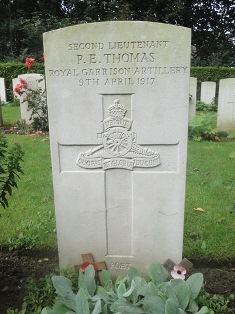 Thomas’s career as a writer sprang largely from necessity. In 1899, while still an undergraduate at Oxford, Thomas impregnated his then-fiancée. Married and a father at 22, his justifiably high academic ambitions derailed, Thomas had to jump on Grub Street’s treadmill. He could never get off. Over the next decade and a half, he would write an astonishing 20 books, edit or write the introductions to an additional dozen, and write 70 articles and 1,900 reviews (he sometimes wrote 15 reviews in a week). Ever scribbling for money, Thomas, who eventually had three children, took on far too many commissions on far too disparate subjects—he reviewed a dizzying array of titles, and his own books include a biography of the Duke of Marlborough, a novel, and studies of Keats, Lafcadio Hearn, Charles Swinburne, and Walter Pater. Although Thomas despaired that the Stakhanovite pace of his literary production kept him from writing more lasting works, his prose was far from mere hackery. He was England’s most discerning, esteemed, and feared poetry critic—he very early grasped the brilliance and weaknesses in Yeats and Pound, and championed Robert Frost; Walter de la Mare said that he must have been “a critic of rhymes in his nursery.” In reviews, articles, and book introductions on rural life, and particularly in his “country books”—eccentric, discursive amalgams of travel writing, history, topography, natural history, literary analysis, and fiction, rooted in particular counties or regions—Thomas established himself as among the best in a distinguished line of English writers on nature and the countryside. Paradoxically, those pursuits added to the labors that kept him from the leisured life he perhaps needed in order to write poetry—a life he would only fully find in the army—even as they immeasurably helped him emerge as a poet. Frost, who urged Thomas to turn to poetry, proposed that he transform into poems some segments from his finely observed book on country life In Pursuit of Spring—a decisive suggestion. “All he ever got from me,” Frost said years later, “was admiration for the poet in him before he had written a line of poetry.” Thomas would, shortly before his death, characterize his poems as the “quintessences of the best parts of my prose books.” It’s ironic, then, that although Thomas built his literary reputation on his criticism and country writing, those endeavors are now peripheral to that reputation. 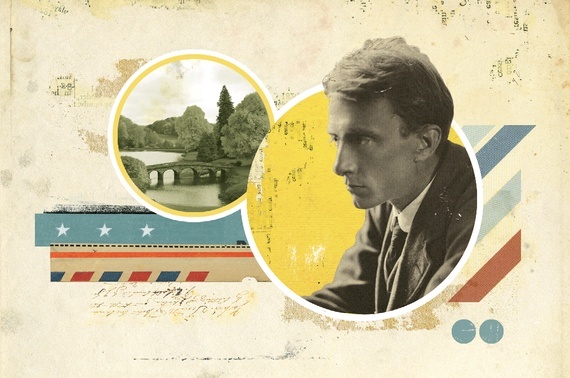 With Edward Thomas: Prose Writings, a work that will consist of six fat volumes, Oxford University Press seeks to change that. (The publication of the opening volumes in the series roughly coincides with the recent publication of the most astute biography yet written of Thomas, Now All Roads Lead to France, by Matthew Hollis). The bold aim of the series is to establish Thomas “as one of the most important prose writers in English.” But to lay siege to that literary Parnassus demands heavier guns. Given Thomas’s extraordinary output, an assemblage of his prose limited to a mere six volumes permits only relatively small excerpts of much of his work. In the case of the 612-page second volume, which collects some of Thomas’s most important writing on the countryside, entire books, including perhaps his finest, The South Country, must be represented by just a few chapters—which makes it read more like an anthology aimed at undergraduates than an installment in a reputation-defining, grandly ambitious work. He had a passion for English country and a passion for English literature; and he had stored enough knowledge of the lives of his heroes to make it natural for him to think of them when walking through their country and to speculate whether the influence of it could be traced in their writing. There are many places which nobody can look upon without being consciously influenced by a sense of their history … In some places history has wrought like an earthquake, in others like an ant or mole; everywhere, permanently; so that if we but knew or cared, every swelling of the grass, every wavering line of hedge or path or road were an inscription … When we muse deeply upon the old road worn deep into the chalk, among burial mound and encampment; we feel rather than see. The work in this volume may or may not put Thomas in the front rank of English prose writers. But it does poignantly and scintillatingly testify to the regressive aspects of human psychology and the human experience, which entangle us in the distant and also the recent past even as we try to make our way forward.